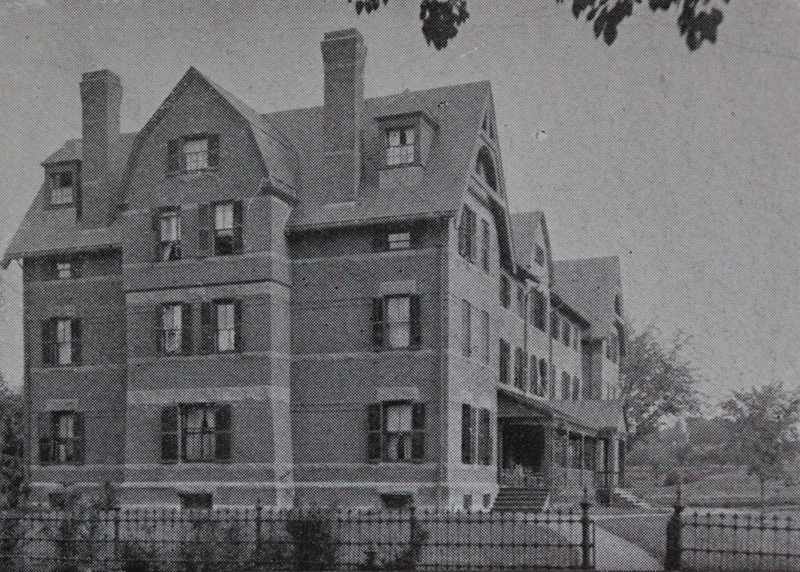 Morris House on the campus of Smith College in Northampton, around 1894. Image from Northampton: The Meadow City (1894). 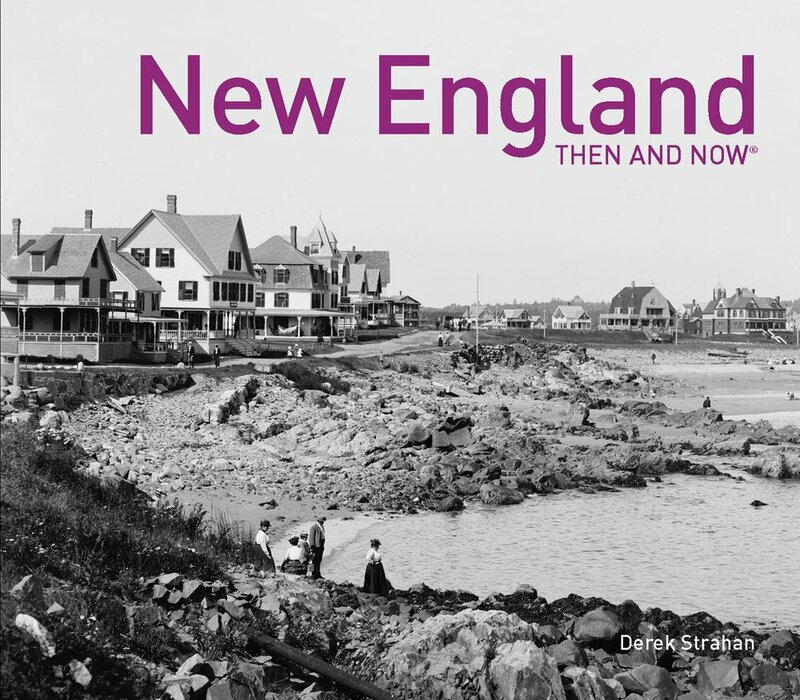 As mentioned in the previous post, the identical Lawrence House and Morris House were both completed in 1892, filling a need for student housing at the rapidly-growing Smith College. 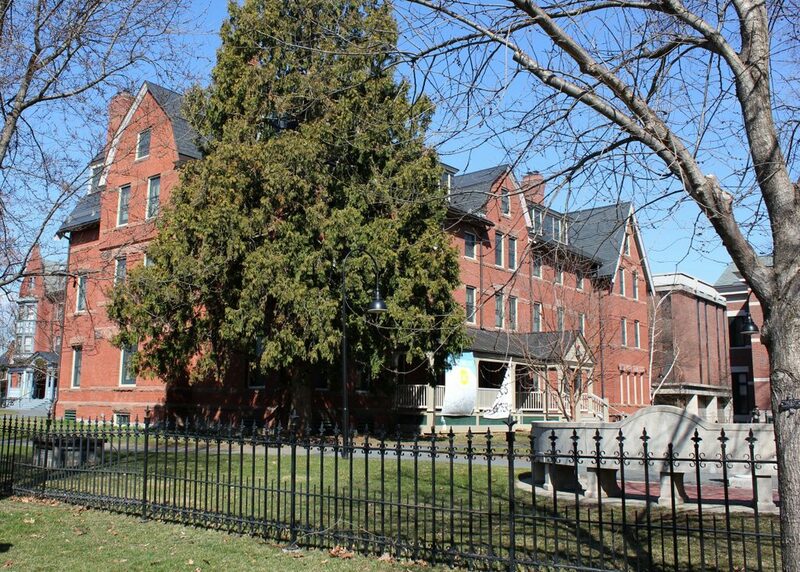 Although the school had opened less than 20 years earlier, in the fall of 1875, with an enrollment of just 14 students, this had grown to 636 by 1892. Morris House, seen here in these two photos, was named after one of these early students, Kate Morris, who was one of eleven women in the school’s first graduating class in 1879. Three years later she became the first to earn a Ph.D. from Smith, and she would subsequently become the first alumna to serve on the school’s Board of Trustees. Like Lawrence House, Morris House was designed by Hartford-based architect William C. Brocklesby, and in more than 125 years there have been few changes to the building’s exterior. The small dormer windows on the long side of the building have been replaced by larger ones, and the decorative bargeboards under the gables are gone, but otherwise it looks essentially the same as it did when the first photo was taken. It remains in use as one of the 35 residential buildings at Smith College, and currently houses 68 students on its four floors. Lawrence House on the campus of Smith College in Northampton, around 1894. Image from Northampton: The Meadow City (1894). When Smith College opened in the fall of 1875, there were just 14 students enrolled in the school. 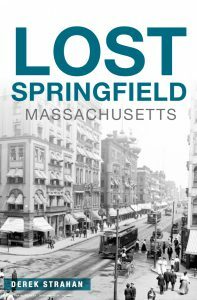 However, over the next few decades the school saw dramatic growth, resulting in a number of new buildings on campus in the 1880s and 1890s. In the six year period from 1886 to 1892, for example, enrollment grew from 247 to 636, and in 1892 two new dormitories were added to accommodate this influx. The two identical buildings, Lawrence House and Morris House, were both designed by William C. Brocklesby, a Hartford architect who was responsible for many of the campus buildings during this period, and they were named in honor of two Smith College alumnae: Elizabeth Crocker Lawrence, class of 1883; and Kate Morris, class of 1879. Later, when academic schedules are definitely settled, each student gives the head of the house a card bearing her first, second, and third choice for a permanent task, as well as her “pet aversion.” Needless to say these are never assigned! The freshmen are but little concerned for they have already been informed by upper classmen who have achieved the dignity of sweeping and setting up tables, that the dinner dishes constitute their particular destiny. The work is never a burden in any sense, for the hour each day spent at one’s particular task is a wholesome change from the academic atmosphere. The interest which everyone takes in the well-being of the house as a whole is truly remarkable and far different from the attitude commonly seen in the houses where the duties of keeping up appearances fall to maids. A scrap of paper in the hallway, a bit of dust on the stairs, is noticed and immediately removed by whomever sees it first – not because it is a duty but because it reflects on the common home which we have all come to love. 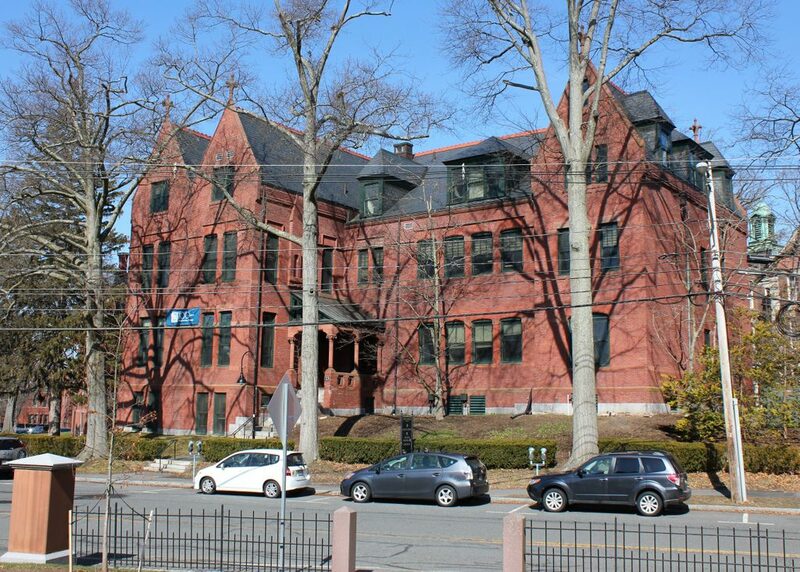 Lawrence House remained a cooperative house for many years, and during this time its most famous resident was Sylvia Plath, who lived here from the fall of 1952 until her graduation in the spring of 1955. Although best known for her 1963 novel The Bell Jar, Plath has already written many short stories by the time she moved into Lawrence House, and several of these had been published in magazines. While at Smith College she also served on the editorial board of the school’s literary magazine, the Smith Review, and in 1953 she was selected as a guest editor for Mademoiselle. However, her college years were also marked by increased depression, and her time at Lawrence House was interrupted in 1953, when she spent six months in a psychiatric hospital after her first suicide attempt. 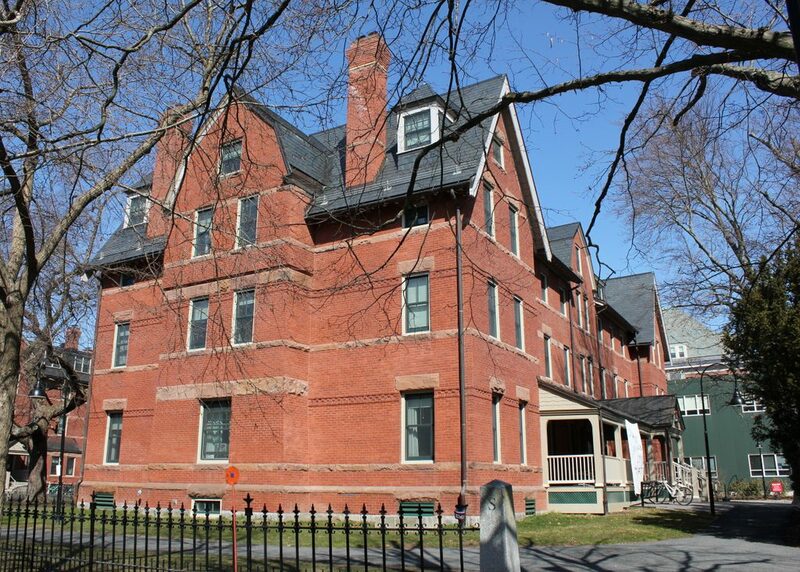 Today, Lawrence House is no longer a cooperative house, but it remains in use as one of 35 residential buildings on the Smith College campus, housing 68 students. The exterior has seen few changes, although at some point in the mid-20th century the dormer windows on the long sides of the building (not visible from this angle) were significantly altered. Otherwise, both Lawrence House and its twin, Morris House, remain very much the same as they did when they were completed over 125 years ago. 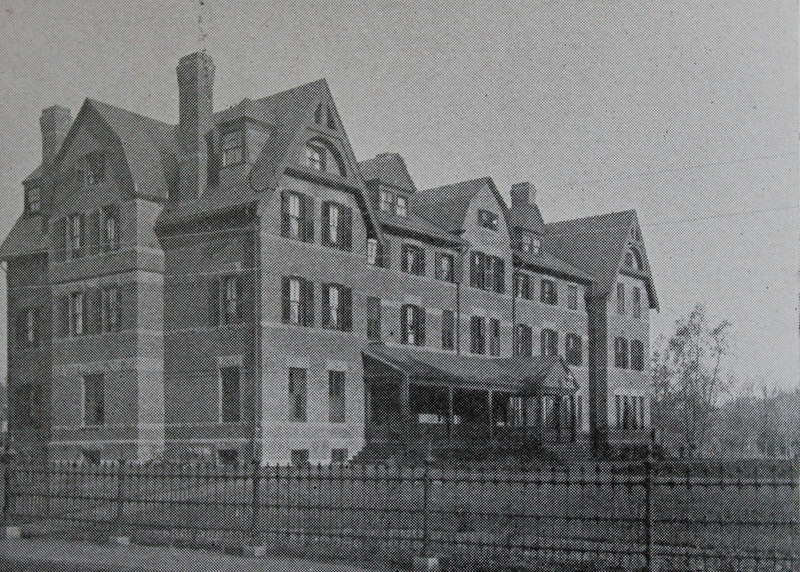 Lilly Hall on the campus of Smith College, seen from West Street in Northampton around 1894. Image from Northampton: The Meadow City (1894). When Smith College first opened in the fall of 1875, all of the classrooms, laboratories, offices, and other school facilities were located in College Hall. However, as the school’s enrollment grew there was a significant need for more space, particularly for the sciences. The result was the Lilly Hall of Science, which was completed in 1886 thanks to a $32,500 gift from Alfred T. Lilly, a silk manufacturer from Florence. It was designed by architect William C. Brocklesby and featured a High Victorian Gothic style that was similar to College Hall, but without the polychromatic walls and ornate details. However, it did not take long for the college to outgrow this building. 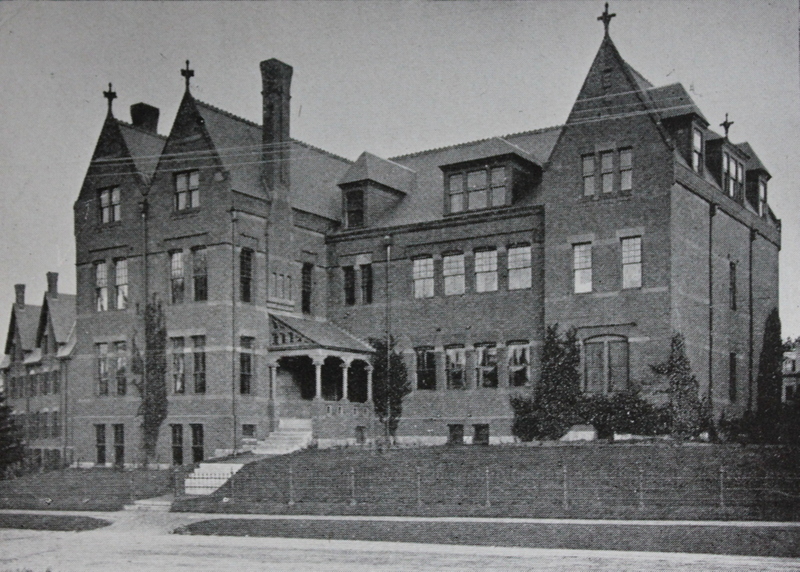 By 1892, just six years after the building was dedicated, the student body had grown from 247 to 636, and the science departments needed more space. In 1899, several years after the first photo was taken, the school added a separate chemistry building, and by 1914 the geology, botany, and biology departments had all moved into other buildings, leaving only the physics department here in Lilly Hall. Physics would remain here for many years, and in 1940 a Van de Graaff electrostatic generator was installed here in the building. Known as an “atom-smasher,” it was useful in the field of nuclear physics, and it was the first such machine at a women’s college. In 1967, the physics department left Lilly Hall, and the School of Social Work moved into the upper floors, while the basement and first floor became the Afro-American Cultural Center. Later renamed the Mwangi Cultural Center, it remained in the building until 2005 before moving elsewhere on campus, but Lilly Hall is still used by the School of Social Work. The building itself was renovated from 2002 to 2003, but the exterior has remained well-preserved over the years, with hardly any noticeable changes between the two photos.